During this 1 day workshop you will learn how to make your own herbal remedies at home. Together we will prepare and preserve the valuable medicinal constituents that plants carry. In just a few hours you will gain enough knowledge to begin your journey in making your own hydrosols, healing salves, medicinal teas and home cleaning products. We will begin our day together enjoying a calming, healing tea blend, harvested from our gardens. We will talk about all the herbal preparations you can chose from and how to pick a preparation that is most suited. We will introduce the humble practice of making medicinal teas. We will discover their potency in calming the mind and assisting in creating balance in the body. Next you will learn how to make alcohol and vinegar tincture remedies. A colourful vegetarian lunch will be served with some herbal cold infusions. After lunch we will teach you how to make oil infusions and healing salves. In the afternoon we will fire up the the still and begin the process of distillation to make botanical sprays and hydrosols that can be used to clean the home, as an air freshener and skin tonic. We will end the day with a review and by filling up our jars of salves and hydrosols to take home to enjoy with family and friends. 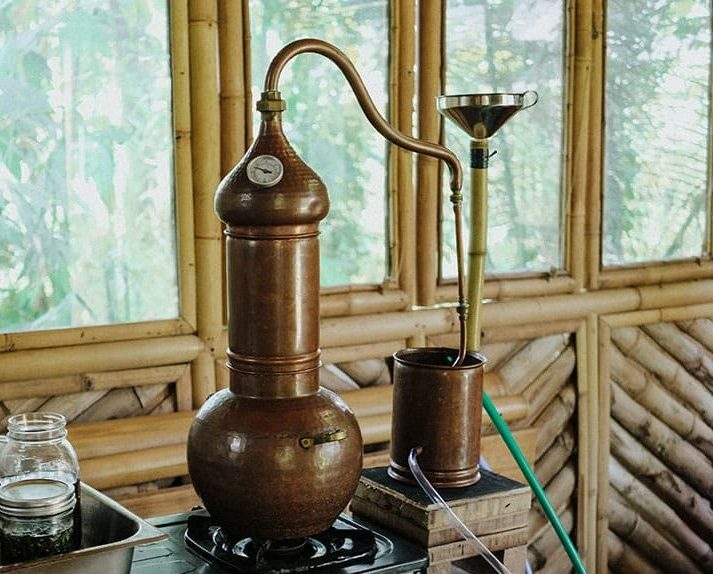 How to make your very own still. This workshop is limited to just 13 people. Book today to ensure your spot! Email maria@kulkulfarm.com or Whats app +628113896070 for more information.